Training Courses - Lotte Mikkelsen - Your Everyday Laughter Queen! Since 2007 I have been teaching 2-day Certified Laughter Yoga Leader Training and hundreds of individuals as well as some workplaces have trusted me to teach them to share laughter and Laughter Yoga in own lives and on a wider scale. 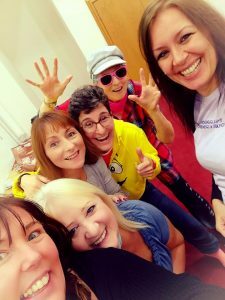 The vast majority of the Laughter Yoga Leaders in the UK have been trained by me since the first St. Albans course all those years ago. The 2-day Certified Laughter Yoga Leader Training kicks off your journey to more laughter. You learn essential skills for sharing and presenting Laughter Yoga in a lean and structured way without taking away your own special flavour and personality. After all we are all different and that is what makes laughter even more appealing as it connects us across our differences. You learn about what you can expect in terms of your health and wellbeing when you adopt a daily laughter practice and you learn what to expect when you start a Laughter Club. I love teaching this course, as I become part of the process of renewal every time when the tremendous change happens in each and every person. I am trusted to witness this transformation in the space of these two days and it is touching, moving and inspiring me to be even better than my best. Come and learn Laughter Yoga with me in St. Albans, London, Blackpool and Durham. All Laughter Yoga and Laughter Therapy courses from UnitedMind are now also accredited. 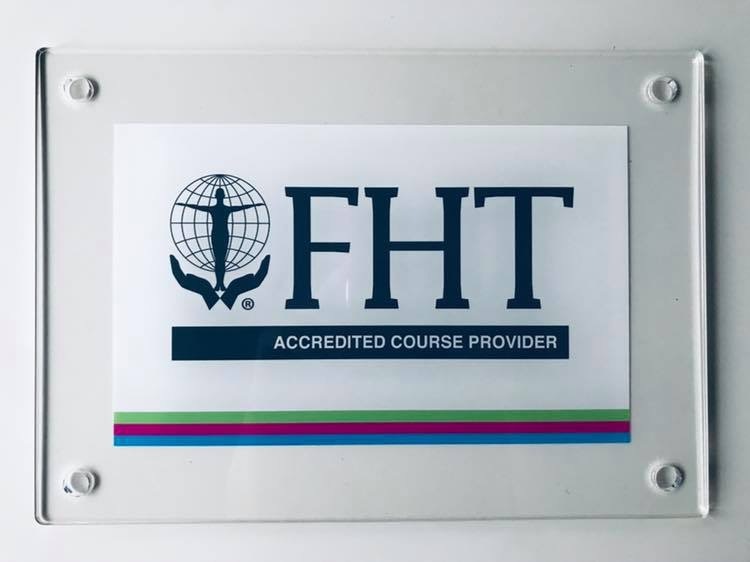 FHT (Federation of Holistic Therapists) is our awarding body and you have the choice to either get the standard certificate or go all the way with the accreditation and the few more requirements from you and me. The full details are listed with my company, UnitedMind Ltd – the Laugher Yoga Training and Workshop Company, and that is also where you can book available courses. Please check out more information about Certified Laughter Yoga Leader Training! What a privilege to be The Laughter Yoga Master Trainer in the UK. In 2012 I completed my training and started taking Certified Laughter Yoga Leaders to the next level of becoming Certified Laughter Yoga Teachers. The course adds more than one extra dimension to being a Certified Laughter Yoga Leader. This is the course where you truly up your game and take on laughter for life. The five days is a journey in self-discovery, confidence, sharing, caring, connecting, and planning. PLUS so much more. The full details for the 5-day Certified Laughter Yoga Teacher Training are also listed with my company, UnitedMind Ltd – the Laugher Yoga Training and Workshop Company, and that is also where you can book available courses. Please check out more information about Certified Laughter Yoga Teacher Training! 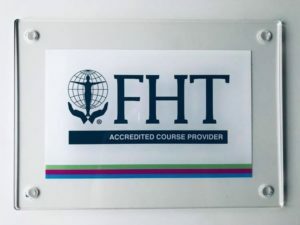 After being inspired by so many different methods of teaching and sharing laughter over the years I brought the Accredited Laughter Therapist Training to the market in April 2016. This is my creation and I am so excited about it! The course takes a completely different angle to the use of laughter for therapeutic recovery and healing. Laughter Therapy takes you to the root of the obstacles you have set for yourself, the conditioning and issues that prevent you from being fully authentic and in integrity with yourself and all there is in your life. Where Laughter Yoga teaches you the the physicality of laughter, Laughter Therapy on the other hand shows you ways of letting go of controlling your laughter, and essentially controlling your tears and all other emotions. This is not for “laughter grasshoppers” – it is for people who are trained to cope with emotional release and people’s potential reactions. All the details for the 2-day Accredited Laughter Therapist Training are also listed with my company, UnitedMind Ltd – the Laugher Yoga Training and Workshop Company, and that is also where you can book available courses. Please discover more information about Accredited Laughter Therapist Training!